Though it has a population of less than 5,000, Austin, Indiana has been thrust into the national spotlight as a small Midwest city with a disproportionately large HIV outbreak. The need to address this situation was part of the impetus for the Knobstone Development Group, Inc. to partner with Foundations Family Medicine to build a new addition to their Austin clinic. “We wanted the community to know that we care and are investing in them,” explains Dr. Will Cooke of Foundations Family Medicine. To continue to serve the community, he says, they needed to add more patient care rooms and supporting spaces. They also wanted to make sure much-needed services like behavioral health and counseling services were locally accessible. Using new Sherwin-Williams Paint Shield® Microbicidal Paint was a key part of the spec for the new addition. 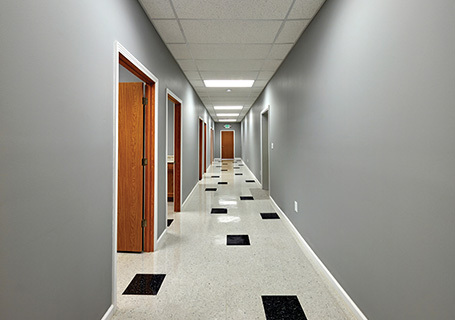 Bill Sears, president of the Knobstone Development Group, was searching for the best possible paint product for the rural healthcare clinics his company works with. He learned of the revolutionary new coating when discussing the project with local Sherwin-Williams reps.
“Paint Shield Microbicidal Paint was just what we were looking for,” he says. 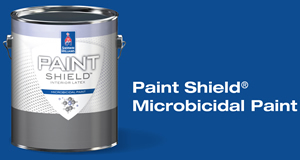 Paint Shield Microbicidal Paint is the first EPA- registered microbicidal paint and kills greater than 99.9 percent of Staph (Staphylococcus aureus), MRSA (Methicillin-resistant Staphylococcus aureus), E. coli (Escherichia coli), VRE (Vancomycin-resistant Enterococcus faecalis) and Enterobacter aerogenes within two hours of exposure on the painted surface. 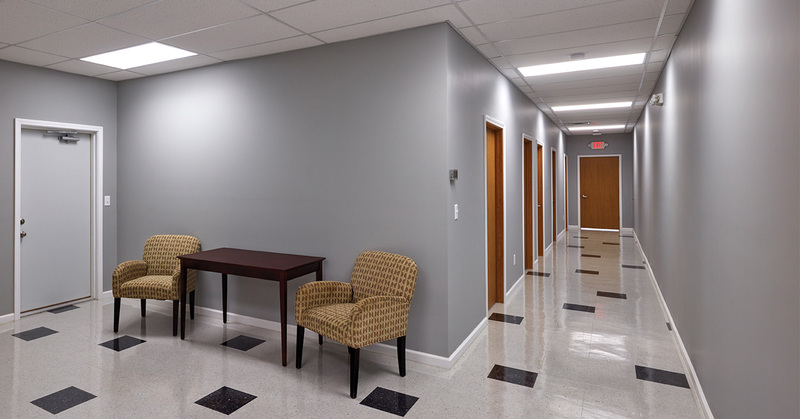 Paint Shield Microbicidal Paint was applied on walls in patient rooms, offices, laboratory and waiting areas. Painters cut in the paint with a brush and then rolled, and found it easy to work with no major learning curves. The use of a technologically advanced product like Paint Shield Microbicidal Paint also ties in perfectly with the values and mission of Foundations Family Medicine. They also believe strongly in investing in the latest technology to provide the best service to the Austin area. “Even before the HIV outbreak we had a need, as a rural community, to invest in local healthcare and technology for our community,” Cooke says. The area has already seen results from the care given by Foundations Family Medicine, with a 73 percent full viral suppression of HIV in the community – compared to a 25 to 50 percent rate nationally.